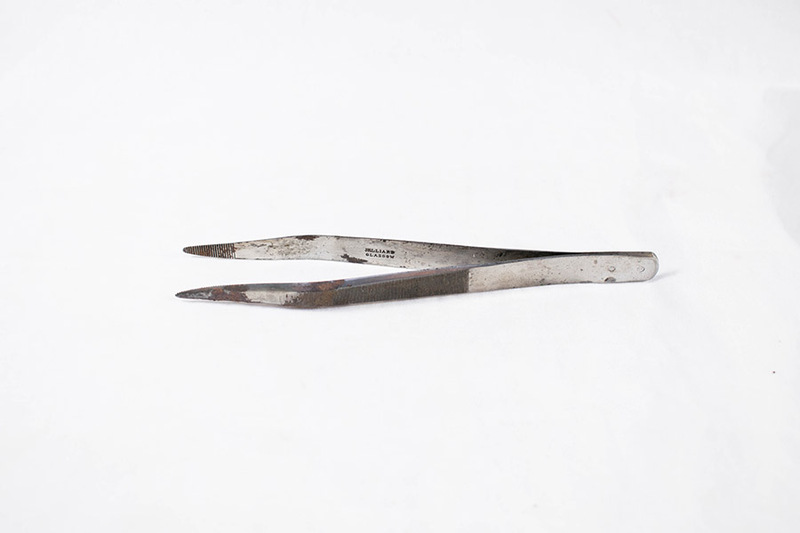 Untoothed steel forceps from cased post-mortem set. 13.9cm in length, 1.2cm in width. 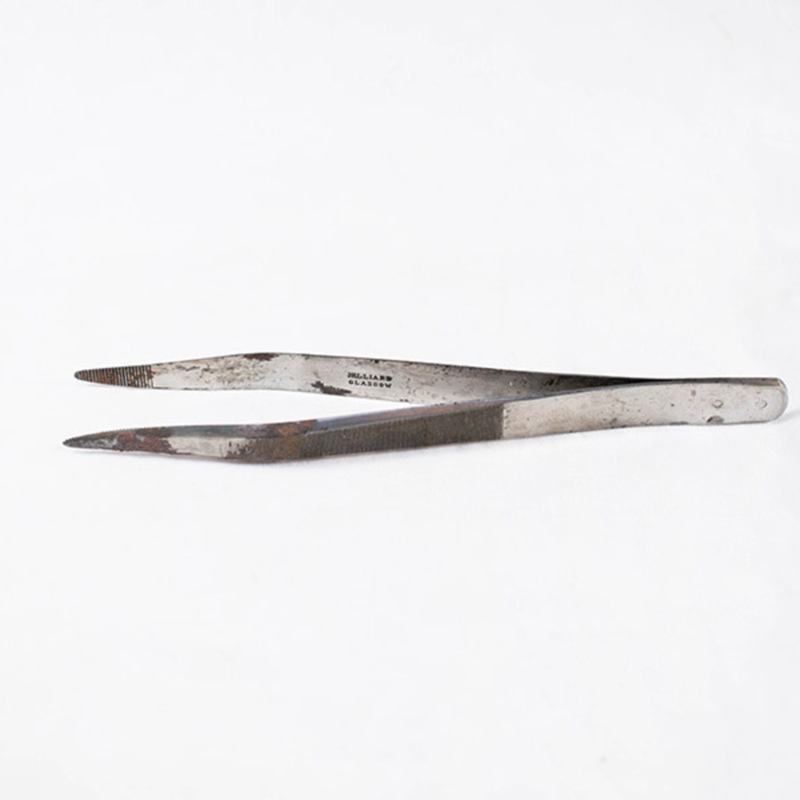 “Untoothed Steel Forceps,” Heritage, accessed April 25, 2019, https://heritage.rcpsg.ac.uk/items/show/319. Description: Untoothed steel forceps from cased post-mortem set.